Daily some are becoming disciples in the name of Christ.....who are also receiving gifts, each as he is worth. These are illuminated through the name of this Christ. For one receives the Spirit of understanding, another of counsel, another of strength, another of healing. Following the practice of the early church and the first Christians we are always happy to pray for one another. Prayer may be for yourself or for someone you know who is in your prayers. It may be for healing or a renewed encounter with God. As the Church of England provides, the sacrament of reconciliation is also available, a space to talk and pray and confess our sins to God in complete confidence, with the the assurance of God's loving and healing forgiveness. Following the teaching of the bible we often use oil when we pray as a sign and symbol of the Holy Spirit. 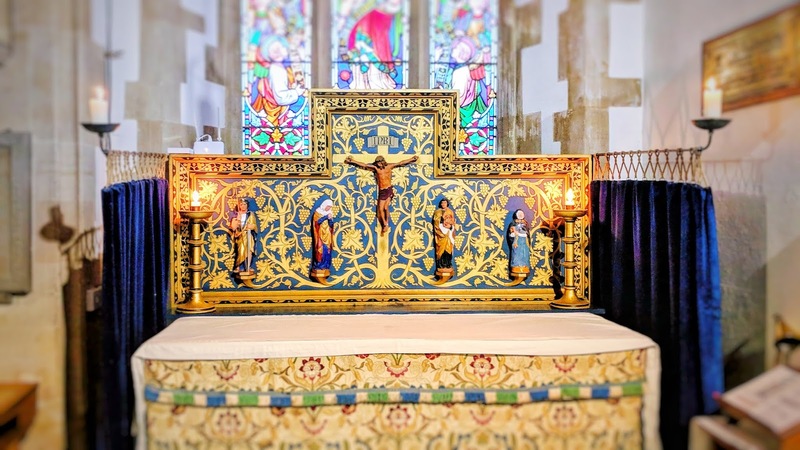 Prayer Ministry is provide after every service in the Lady Chapel, except the Fourth Sunday of the month where time is given during communion for Prayer Ministry.